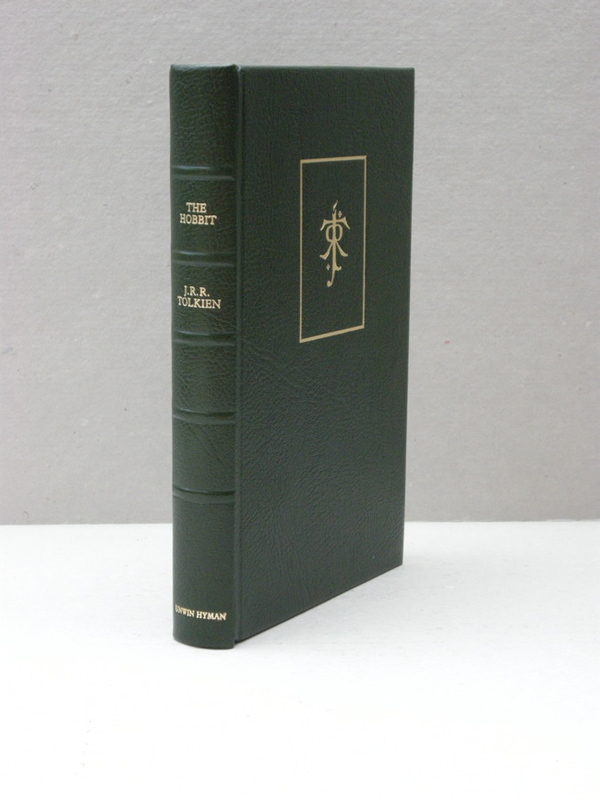 This Limited Numbered Edition was published in 1987 to celebrate the 50th Anniversary of the original publication of The Hobbit. 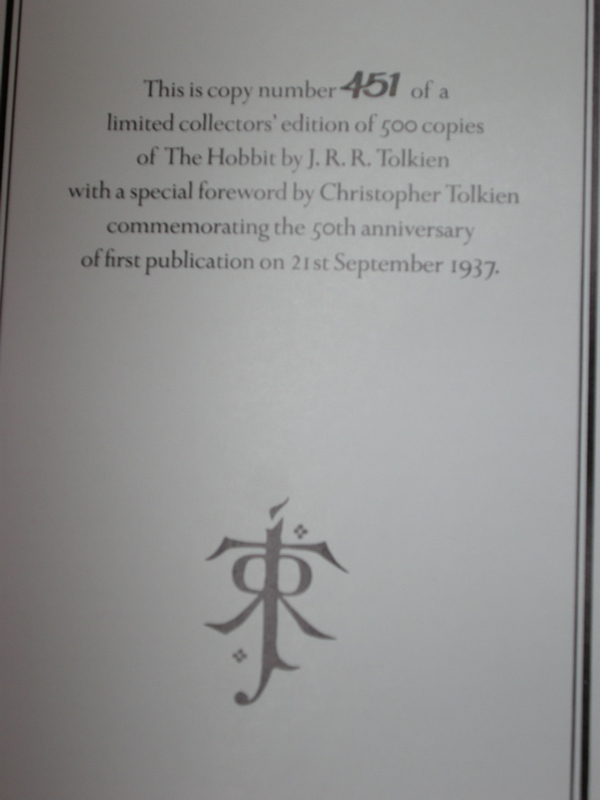 This copy is numbered #451 of 500, and contains the special foreword by Christopher Tolkien. This copy is in mint condition, opened only to inspect. 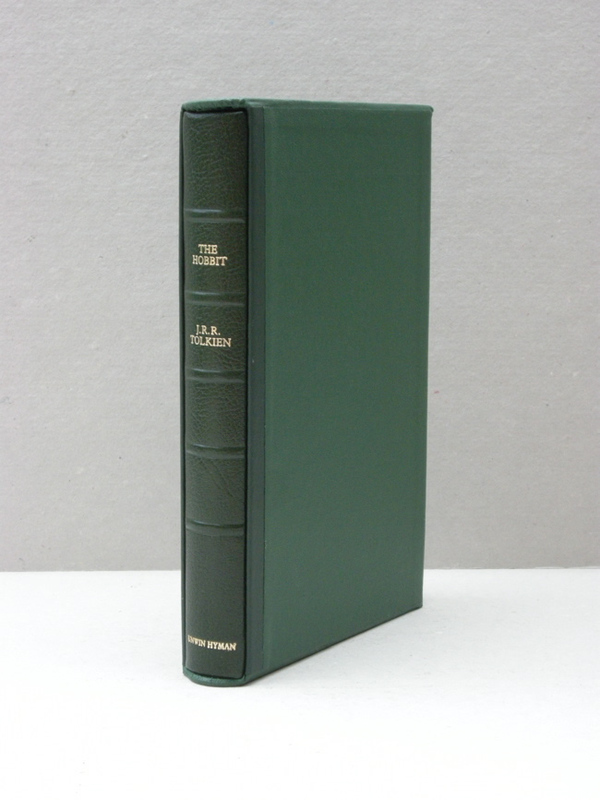 Bound in dark green leather, and housed in original publishers slipcase. Still packed in the original shipping box, with #451 Limitation Notice on the outside. 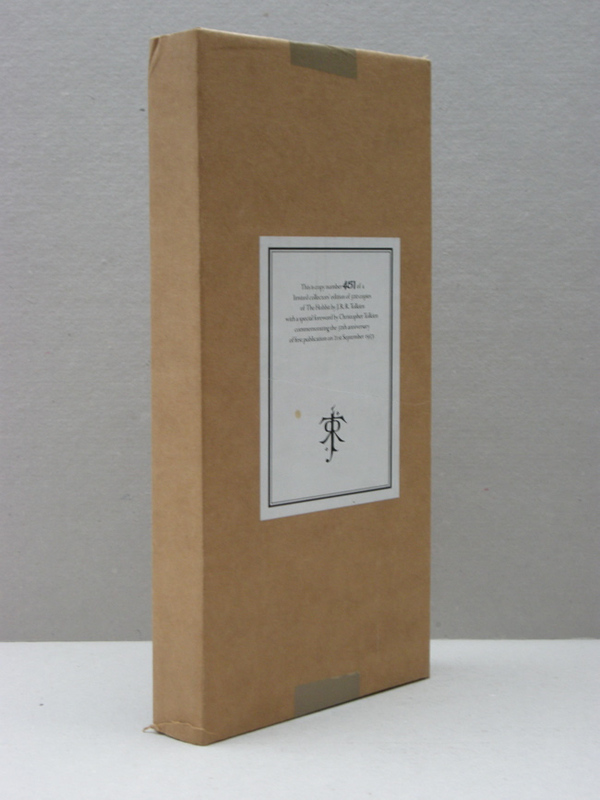 No foxing, no marks other than the sunning of the spine, still crackles when opened. 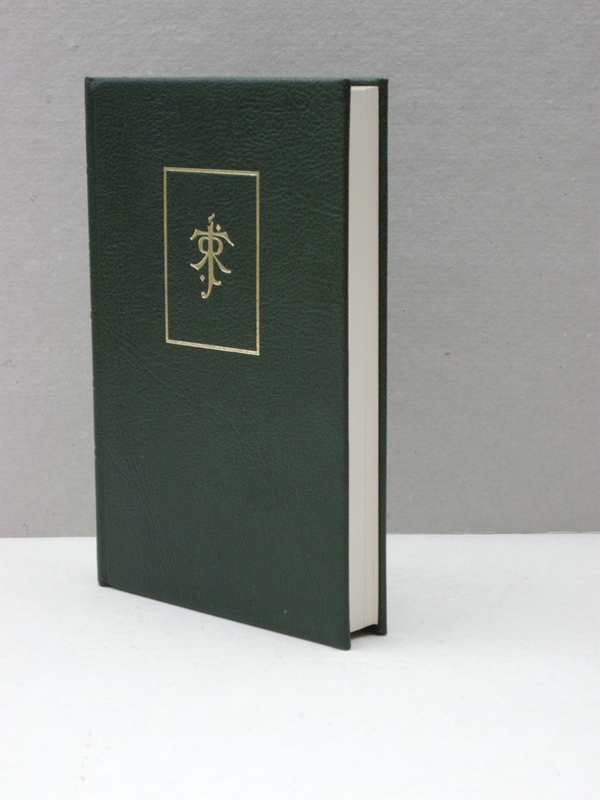 Mint unread condition, a must for the serious collector.